Beginner Vocal Exercises – Sing & Play! Welcome to this tutorial on Singing AND Playing Body and Soul. We are going to learn about incorporating the voice into our playing, right from the beginning of learning a tune. Singing is something most of us can do and almost as many like to. In this lesson, we are going to address the multi-instrumentalist. The singer and pianist, and talk about the best ways to combine these the talents to get stronger at both. What a joy to accompany yourself singing, because no one knows you better, or where you are going to go than you do. The singing pianist can meld the piano to the voice like few duos can, and it’s also great for shy singers – which is what I used to be. 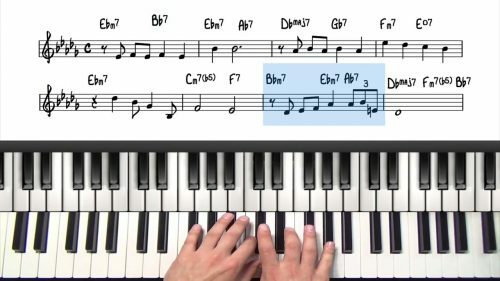 For those of you who want to pursue the path less traveled in jazz, as the singing pianist, you will find great tips here to help you further your craft. 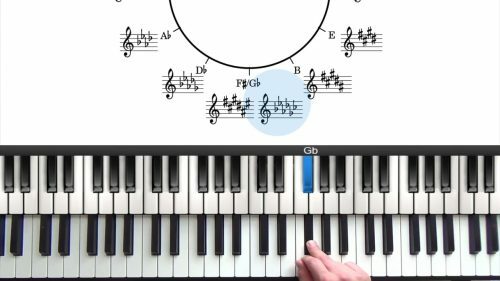 But these tips are also valuable for those pianists who like to sing, and just want to dig in deeper to the music, to the connection to the piano, to strengthen ear training and internalize the tunes more. As long as you don’t loathe singing, then I’d advise you to try the methods outlined in this video. 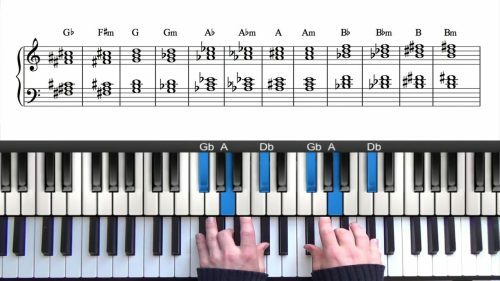 Running through the melody with these exercises is a great way to see if the original key is a good fit for your voice. Since original key is always best, you want to give it a fair shake in your voice to see if it will work. The more times you sing a melody, the more your voice should be able to run smoothly over it. If this isn't happening, it may be an indication that you need to change the key. Make a note if any of the syllables are harder or easier for you on certain notes. I find that Ah or Oh are typically the easiest for most people. When ready, you can move onto the next lesson in this course which contains more advanced exercises for singing AND playing Body and Soul.